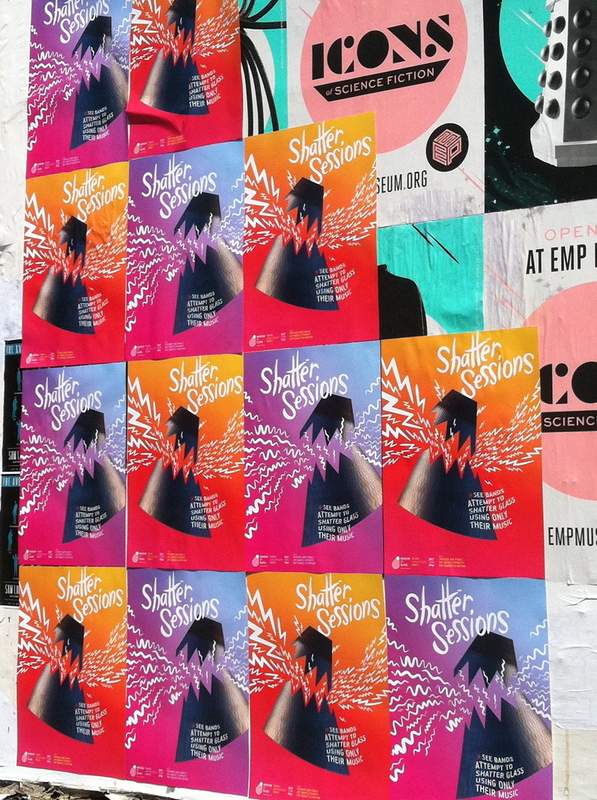 Museum of Glass "Shatter Sessions"
Identity, poster series and design for the Shatter Sessions rebrand launch event. The museum invited bands to try and shatter wine glasses in a sound box commissioned by Creature. Get the frequency just right and watch the glasses explode.